This entry was posted in News and tagged Bible, Christianity, church, Faith, Glenn Beck, God, Jesus, Kirk Cameron, Movie Review, News, Politics, Religion, Theology. Bookmark the permalink. ← A letter to the pope. I believe it’s important to remember that Mr. Cameron is in the business to sell tickets, and make a profit. In order to do that, he (and the organization funding the creation of the movie) have to balance the message(s) in the content. On the one hand, it has to be entertaining, and on the other hand it is likely intended to be compelling toward an underlying point. Now, I admit I haven’t seen the movie, but I’m guessing, from reading a portion of the reviews above, it’s more focused on history and less focused on evangelism. There’s a time and a season for both, no? I think the problem is that if it is focused on history, Cameron is getting some of his history wrong. The Crosswalk article points that out beautifully. 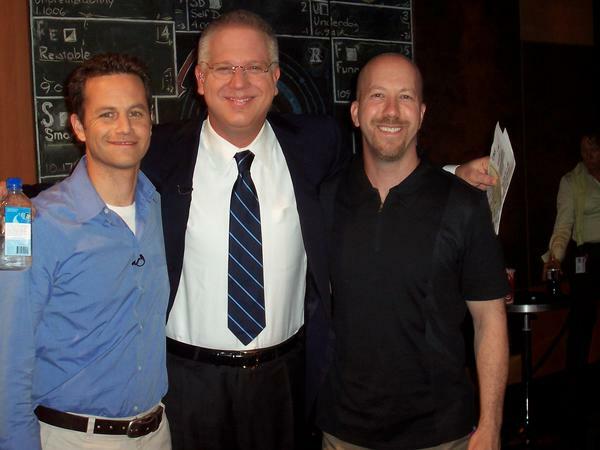 Fellowship with Mormons and Masons and post-mil theonomists is bad medicine and does not speak well about Kirk Cameron. Of course, neither did the Left Behind movies. I would even assert that true fellowship is not even possible with Mormons, Masons, and post-mil theonomists (I’m not even sure what those are, but they don’t sound like Christians). This movie isn’t fellowship though. It’s a business arrangement. One could argue it’s not good practice to go into a business arrangement with a Mormon, a Mason, a Roman Catholic, an Atheist, etc. After all, they’re all not Christian. Honestly, I see nothing wrong with Kirk Cameron’s venture here, and I haven’t even seen the movie. What I struggle with is the underlying “cloaking” of Christianity in a secular movie, so as to “take back our country” from the leftist, Marxist, “greeny,” whack-job liberals and pagans. The only way we’ll ever get back to a country which, by and large, fears God is through a God-caused revival. Once people’s hearts are converted, politics and culture will take care of themselves. I don’t believe that making a movie about how our country was founded, and talking about God in our nation’s historical context is wrong at all. I prefer that over the vast majority of what Hollywood spews out almost daily. However, I also don’t believe it’s the proper tool to bring about what Mr. Cameron, David Barton, Jay Sekulow, and the other “movers and shakers” in the evangelical spotlight are ultimately seeking. That’s God’s job, through His Word and His church. Just a few more rambling thoughts for a Monday afternoon. Many evangelicals join with catholics/mormons/fill-in-the-blanks to support a “good cause” such as conservative politics, protesting abortion, etc. This is what happens when Christs kingdom and His Gospel get confused with nation state america and its gospel of diestic morality. Our kingdom is not of the world if we truly belong to Christ. Hope that Kirk will see the error and go back to making solid Christ honoring evangelism teachings. The idea that every movie made by Christians should be responsible for what the Church is called to do is ridiculous. Art (film, music, architecture, literature, fashion, painting, ex) cannot redeem humanity. I think the historical inaccuracies and the confusion and distinction between the two kingdoms is what is very problematic. Easy there. Mormons and Masons, yes.